Beautiful home, feels absolutely brand new!! 4 bedrooms, 2.5 bathrooms, all very large bedrooms with great walk in closets! Many upgrade throughout, including granite everywhere! Custom cabinets and pulls, upgraded lighting, FULL size freezer and fridge both stay! Stone fire place, beautiful matte textured walls. 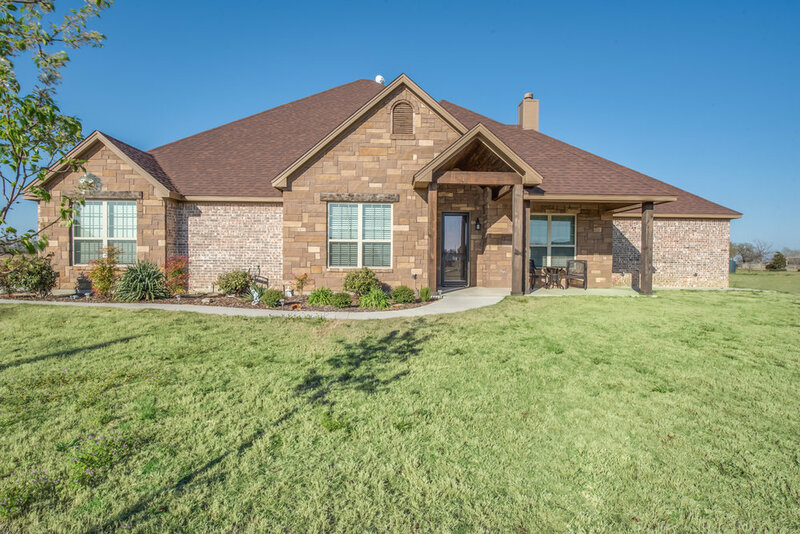 Upgrades galore in this wonderful home in Brock ISD! Feels like a brand new home! From the moment you walk up and notice the wrap around sidewalk so you'll never have to step in the mud, you'll know every detail in this home was well thought through! Impressive entry with arched and custom painted ceiling, inviting dining room with pass through granite buffet into the kitchen. Large master bedroom with fantastic bathroom layout with so much storage, huge soaker tub and dual head huge shower! Laundry has multiple cabinets, granite and sink as well as a drip dry hanging area! Large bedrooms with huge closets throughout! Wood burning stone fireplace and built ins. Gourmet kitchen with full size freezer and fridge included. Huge outdoor living with kitchen, sink, fridge, gas grill and granite! This home feels like home! I love it!